NEW genuine Delphi oil filter HFP267, fits the following vehicles. VARIOUS ROVER P6 MODELS. VARIOUS CASE NEW HOLLAND'S MODELS 1190 TO 1690 TRACTORS AND FROM DATE 1979-1985 AND 580 SKID STEER AND 990/1 TRACTOR 1971-1981. Defender TD5 & TD4 PUMA (1998-2016). Discovery 2 TD5, (1998-2004). Range Rover P38 Petrol, (2000-2002). Freelander Parts. Defender Parts. Series 2 & 3 - Defender 90/110/130, Discovery 1,2,3,4,5 & Sport - Freelander 1 & 2 - Range Rover Classic, P38, L322, L405, Sport & Evoque. If you can't find what you are looking for just ask, we're sure to have it. Part number for reference only; esr3926. 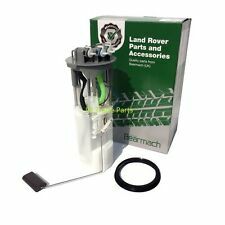 Land Rover Discovery 1 V8 In-Tank Fuel Pump. Suitable for ALL Land Rover Discovery 1 V8 vehicles. Part number & pictures are used for Identification purposes & reference only - they do not imply the manufactures identity. 75 Tourer (RJ). 2.0 CDT Diesel 1999.02 - 1950 85 115. All fuel pump Products go with testing report. 2.0 CDTi Diesel 2001.06 - 1951 85 116. 2.0 CDTi Diesel 2001.06 - 1951 96 131. Fuel Pump Assembly. 2.0 CDTi Diesel 2001.10 - 1951 85 116. Part Number: WFX000280. Land Rover Discovery 2 TD5 In The Tank Fuel Pump. Discovery 2 TD5(1998-2004). they can often draw air into the system causing any/all of the above symptoms. Now supplied complete with Sender Unit and Fitting Seal. PART NUMBER - 0460414118. 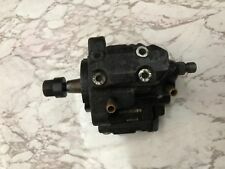 DIESEL HIGH PRESSURE FUEL INJECTION PUMP ROVER. Anti Roll Bar link. Oil Sump Pan. LAND ROVER. Trailing Arm Bushes. RANGE ROVER MK 2. Windscreen Wiper Motors. Fuel Type: Diesel. Wheel Hubs and Bearings. WILL FIT TD5'S FROM 1998 - 2004. No labour cost or garage fees will be covered under any circumstances. Cheques are accept but must be cleared before the item is collected or dispatched. Add Us To Favourites. The spacer is designed to give you enhanced upper rev performance of the 200/300 Tdi. Land Rover Boost Timing Tuning Spacer and Boost Pin. The kit includes a boost spacer, seals and a boost pin. Engine with the added tuning of the pin as well. NEW IN TANK FUEL PUMP FOR LAND ROVER DISCOVERY 2 TD5 SENDER & SEAL 2.5D WFX000280. Discovery 2 TD5(1998-2004). they can often draw air into the system causing any/all of the above symptoms. - Is your fuel pump becoming very noisey?. FPB-RV8 Land Rover 200/300 TDI Fuel Pump Blanking Plate - Stainless Steel. Fits Land & Range Rover 200/300 TDI Engines. Sold Straight Off The Laser. Engine: 3.0 TD6. Model: L322 RANGE ROVER. Make: LAND ROVER. We do not decode them prior to sale. Donor Vehicle Details All Parts are used and may have hidden faults. We do not cover any garage fees, or any other expenses caused if the item appears to be faulty. WQC000011 For Land Rover Ranger Rover MK3 SUV 3.0 TD6 4X4 Intank Fuel Pump. Land Rover Range Rover MK3 3.0 TD6 [2002-2012] Engine:306D1. With these parts you can replace your defective parts simply plug and play. 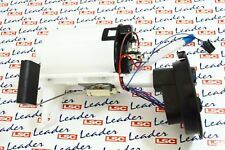 IN TANK FUEL PUMP & SENDER For Land Rover Defender 90 2.5 TD5 WFX000250. Quality Warranty: 24 Months. OEM Part Number. OSIAS Car Parts. 75 Tourer (RJ). 2.0 CDT Diesel 1999.02 - 1950 85 115. 2.0 CDTi Diesel 2001.06 - 1951 85 116. 2.0 CDTi Diesel 2001.06 - 1951 96 131. 2.0 CDTi Diesel 2001.10 - 1951 85 116. 2.0 CDTi Diesel 2001.10 - 1951 96 131. Manufacturer Part Number ERR5057. Reference OE/OEM Number ERR5057. MPN ERR5057. Independant Land Rover Specialist Since 1974. Bearmach Defender 300 Tdi, TD5 & Discovery 2 Clutch Slave Cylinder - FTC5202 markbiggsmark(289). IN TANK FUEL PUMP MAM00041. Land Rover Discovery Mk3. 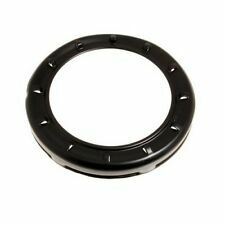 Our compatibility list of vehicles that could be fitted with this part is based on a catalogue information and it gets regularly updated to best of our knowledge.